Not a bad place to land. Official #2 seed in the NCAA Volleyball Tournament. The University of Minnesota Gophers play their first game Friday night against Bryant. They truly have the state behind them and a near-perfect season to stand on. I had the pleasure of chatting with their International Volleyball Hall of Fame Coach Hugh McCutheon a few days ahead of the tourney’s kick-off. Take a listen to our conversation on WCCO Radio. 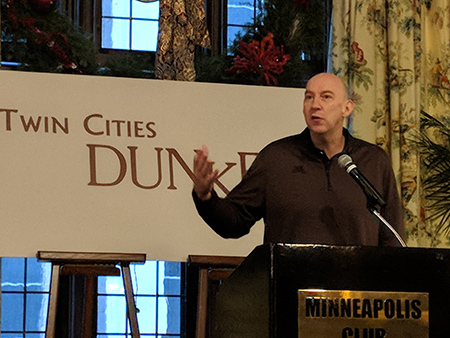 Coach McCutcheon also shared how his adaptive coaching techniques on the court can play out for many of us in our business life and other endeavors. Glowing with pride for Gopher Volleyball and thrilled they have such a solid and personable leader inspiring these young women.